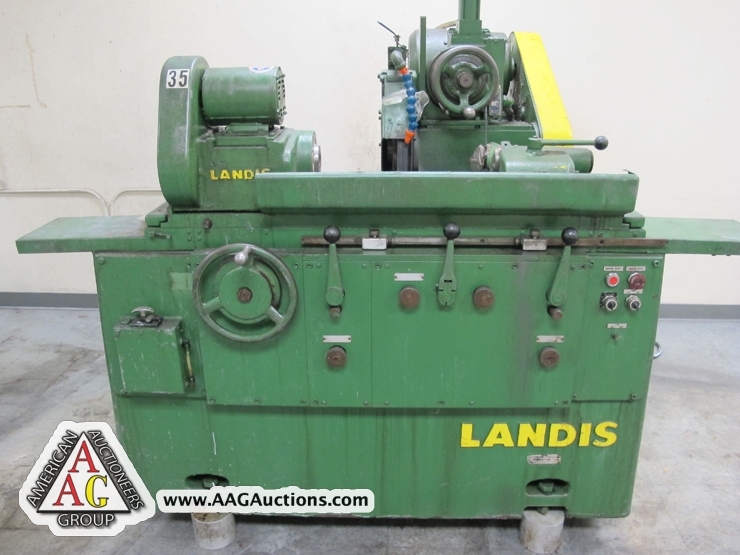 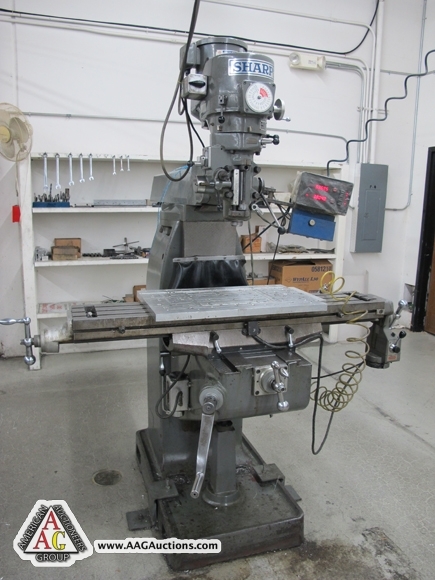 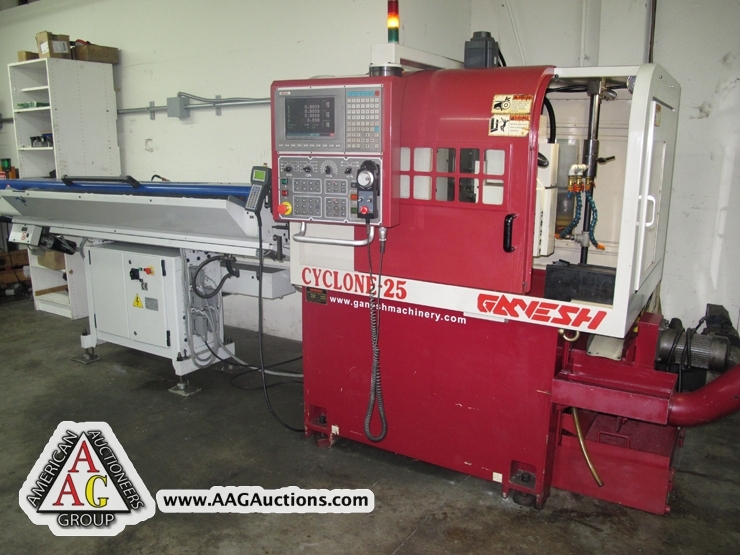 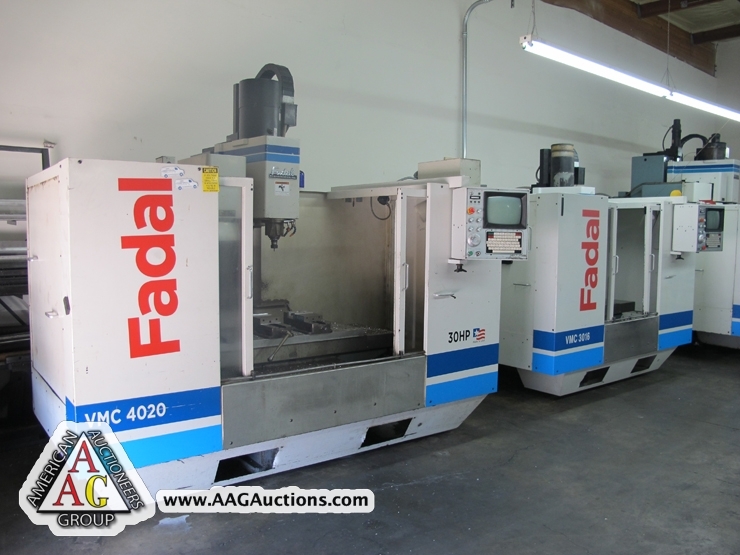 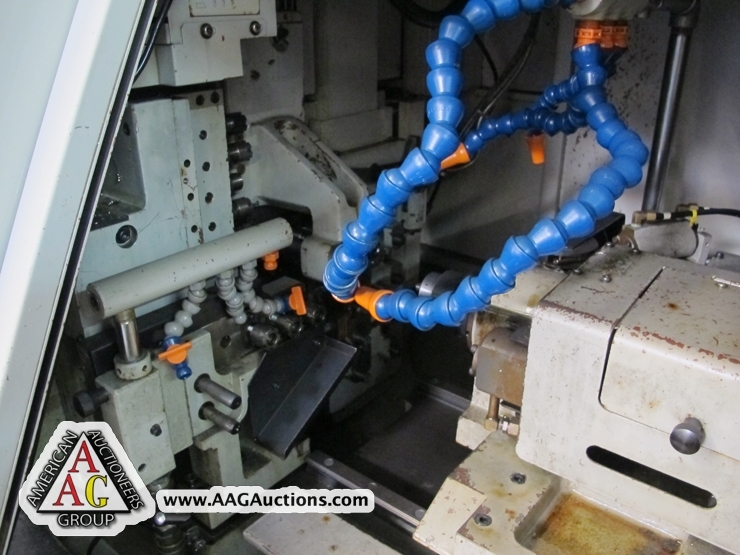 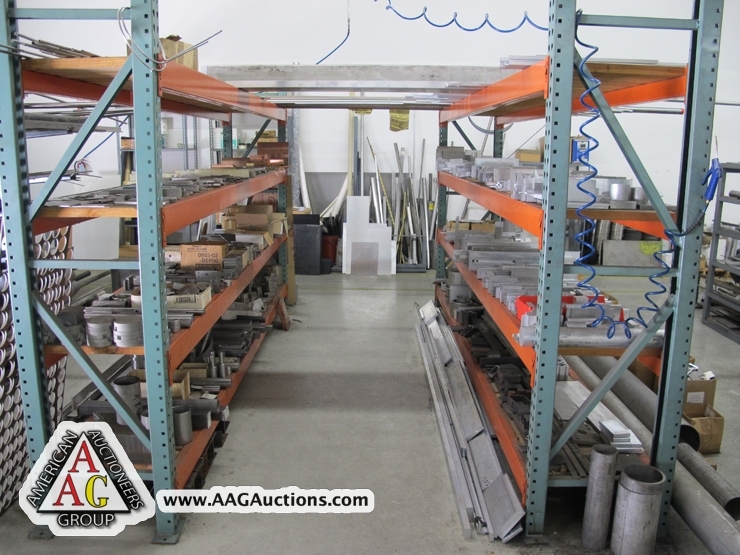 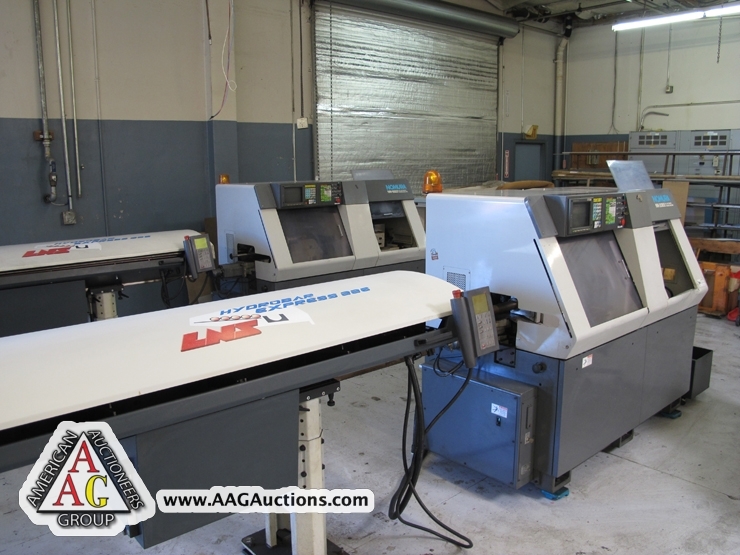 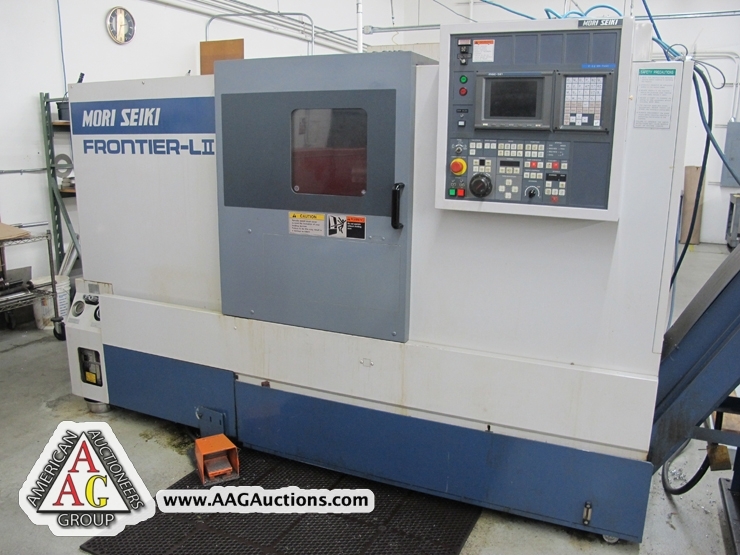 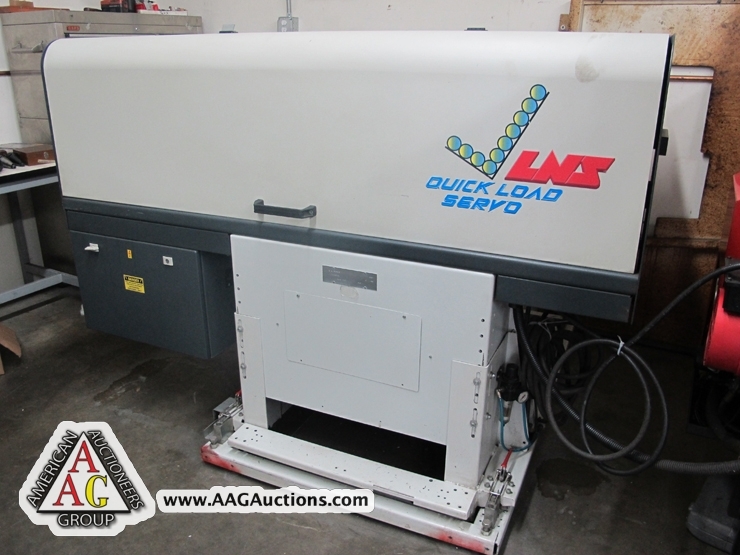 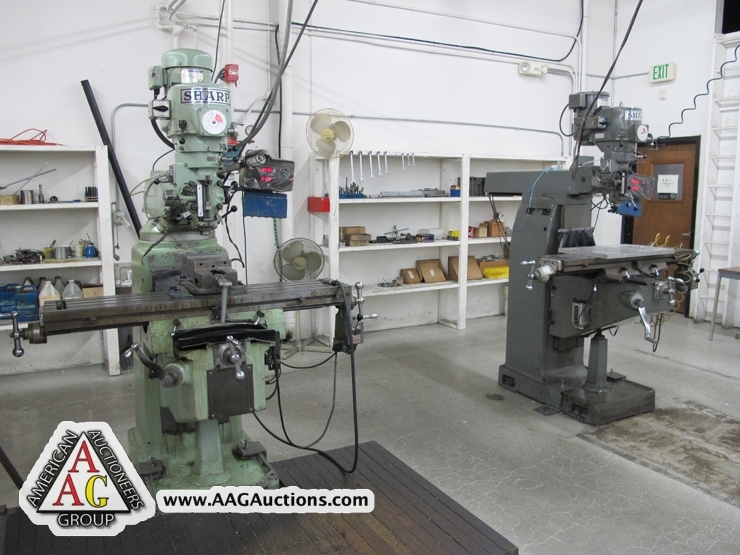 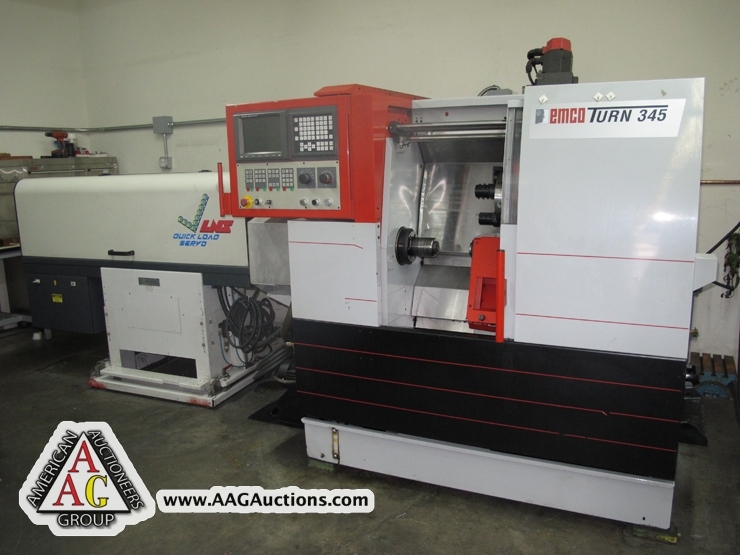 AUCTION DATE: TUESDAY, JULY 31, 2012 – STARTING @ 11:00 A.M.
AXIS, 12 POSITION TURRET, CHIP CONVEYOR, S/N 54355. 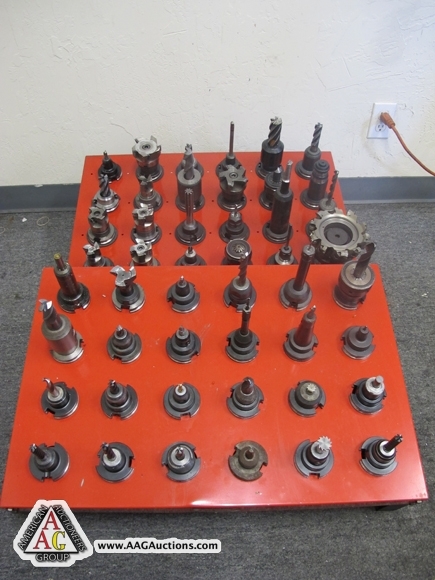 CHUCK, 10 POSITION TURRET, S/N 7441. 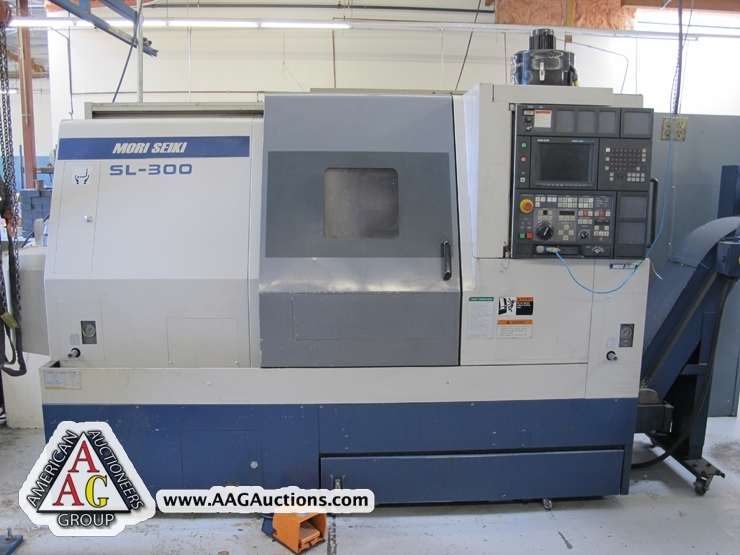 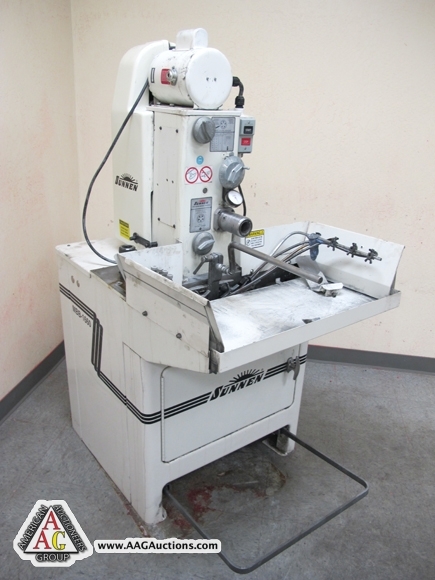 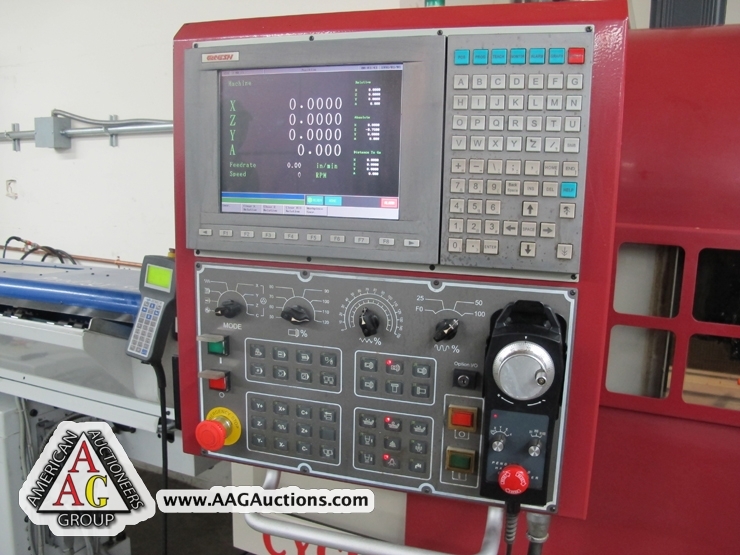 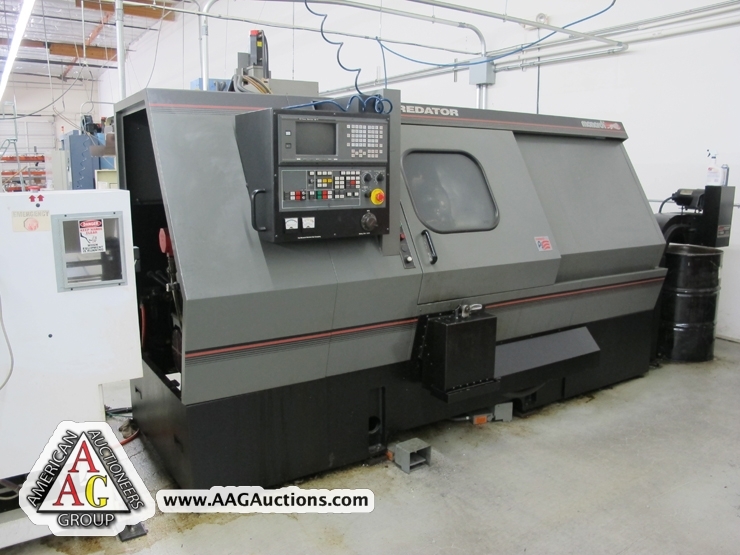 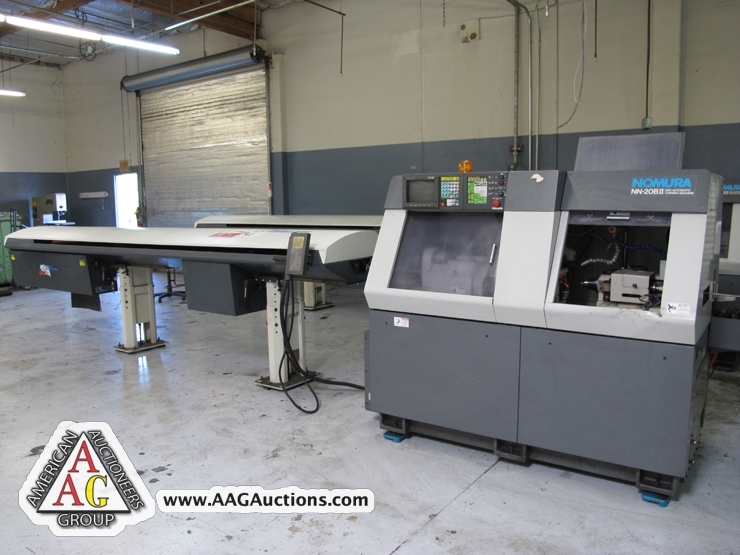 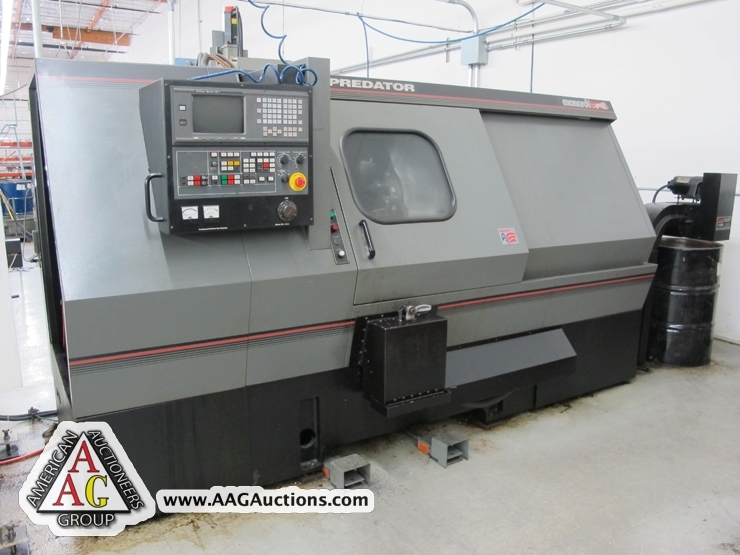 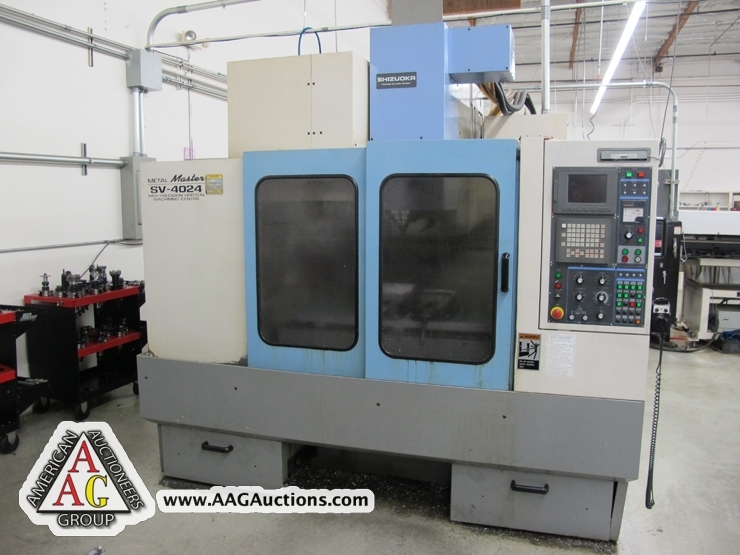 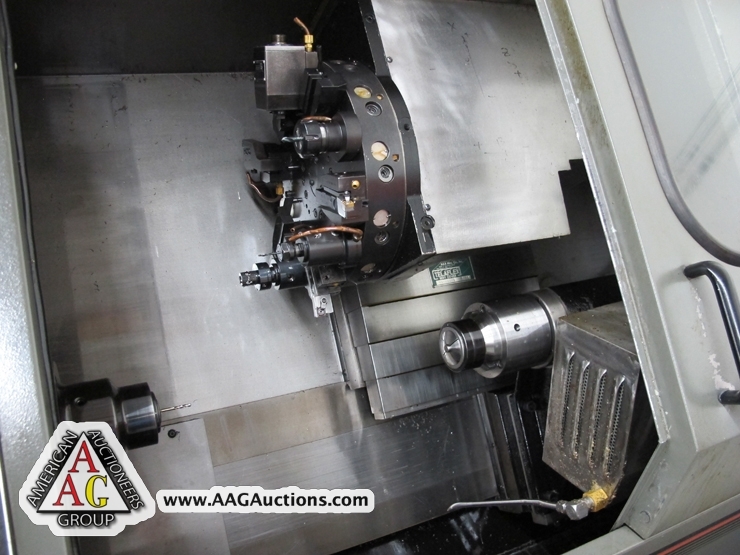 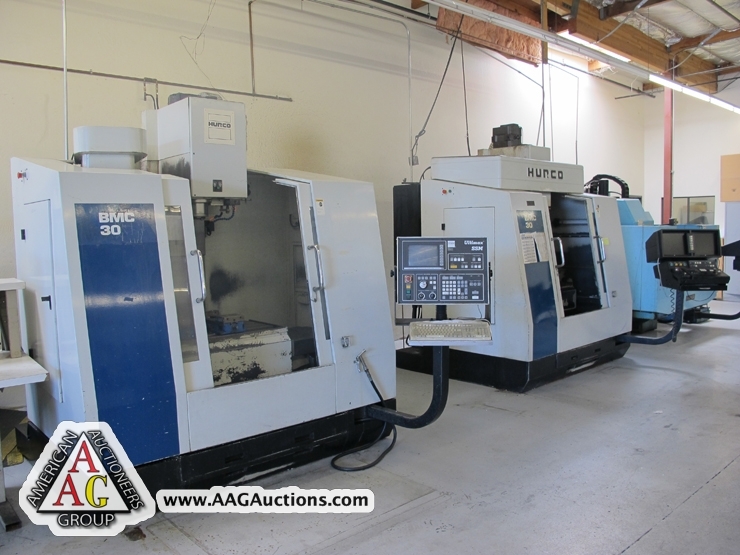 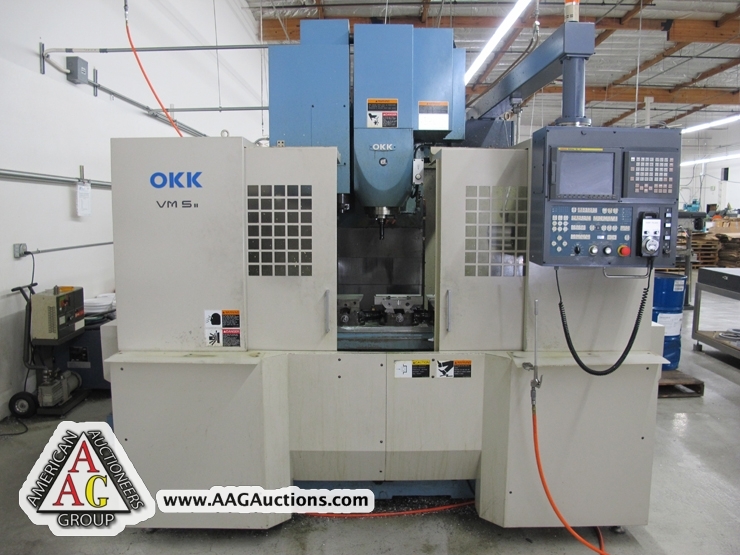 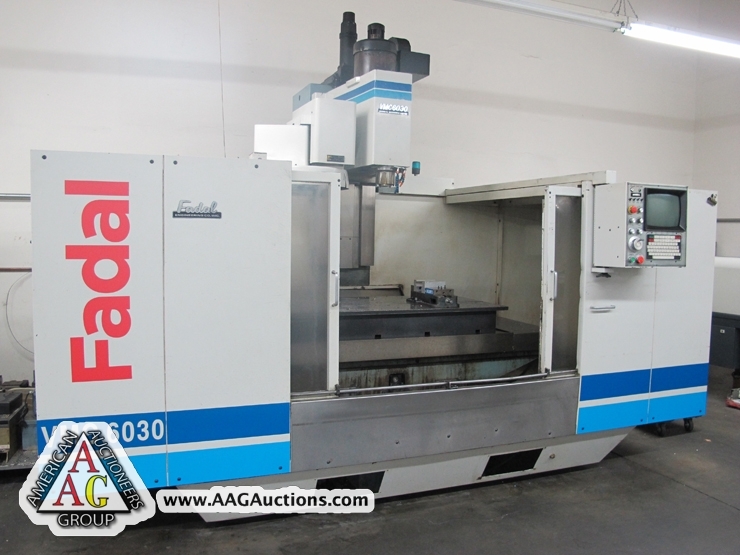 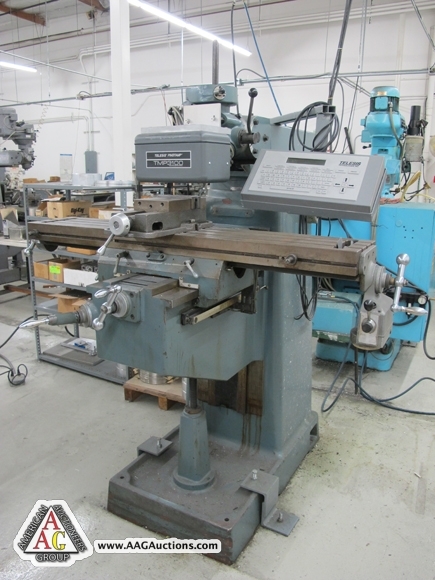 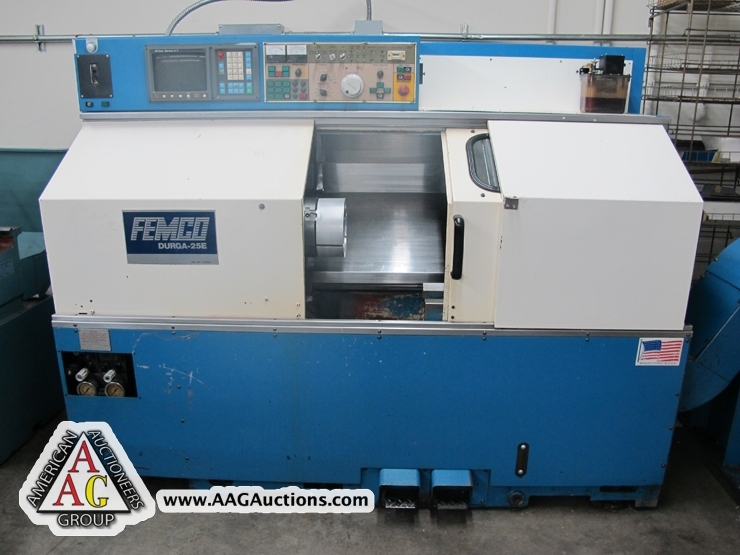 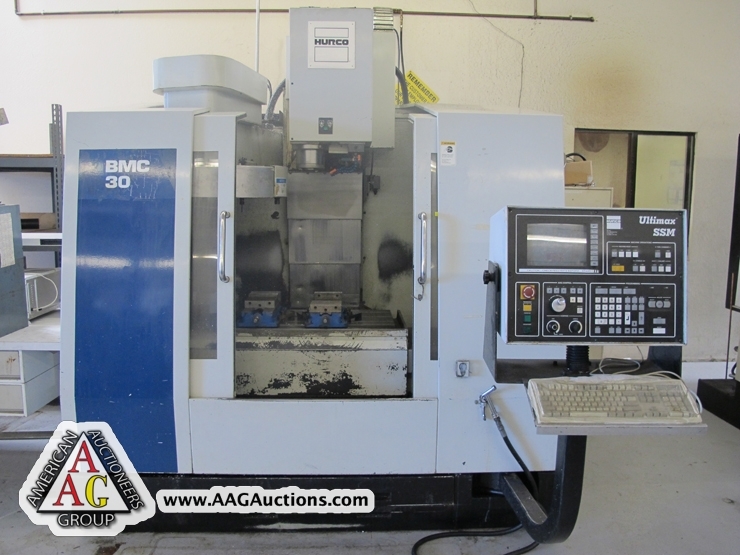 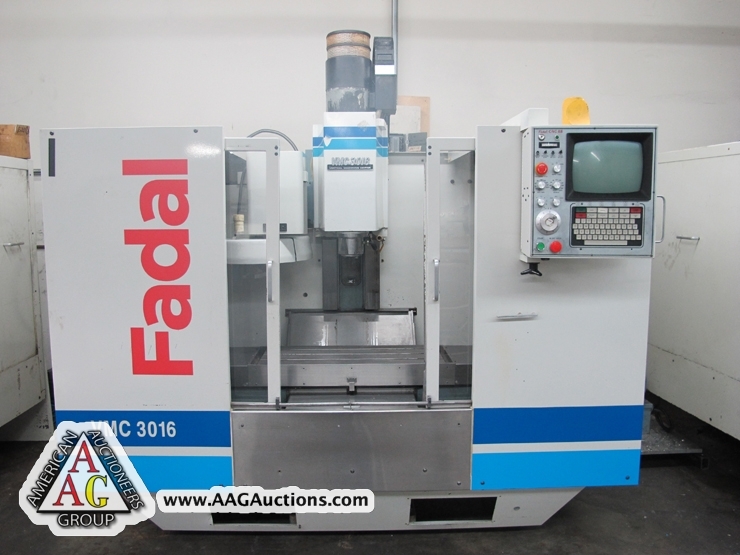 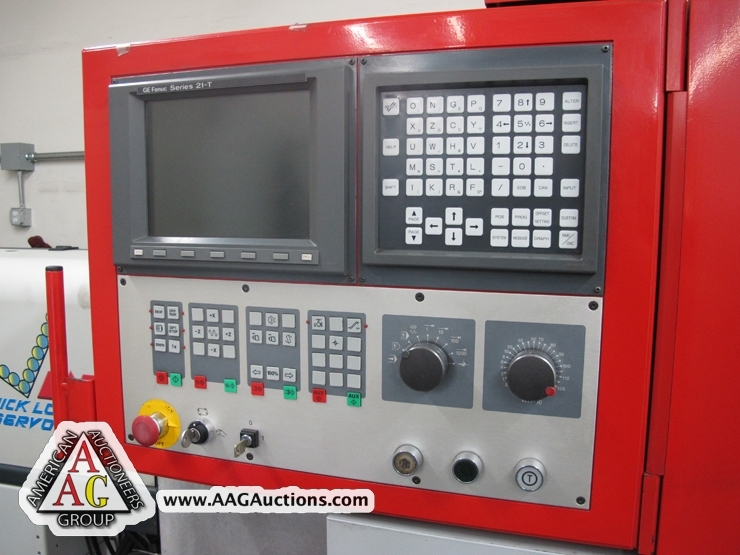 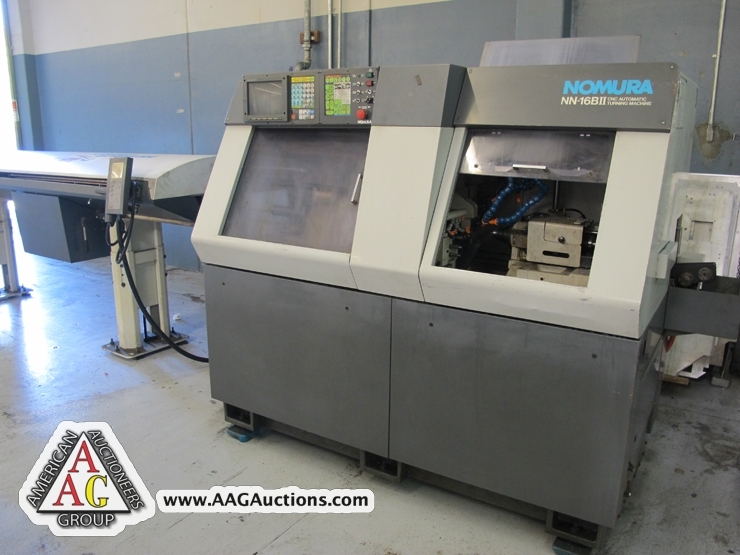 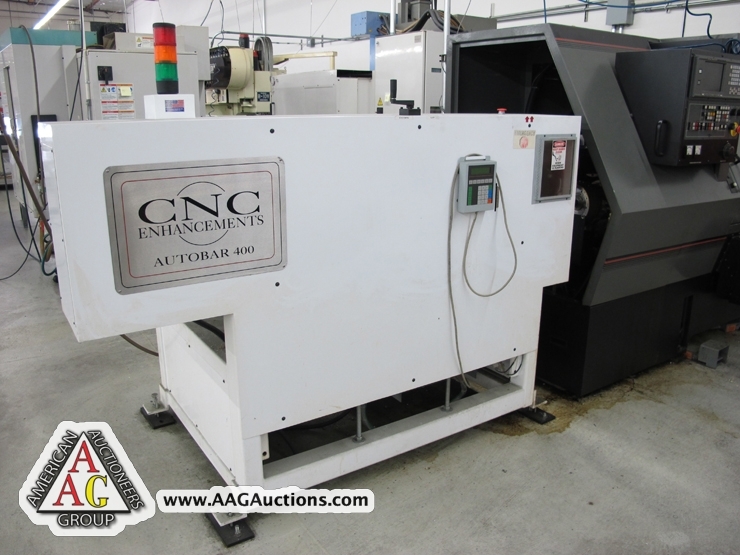 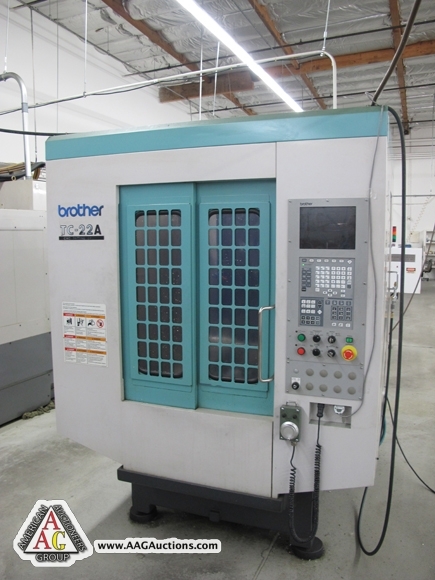 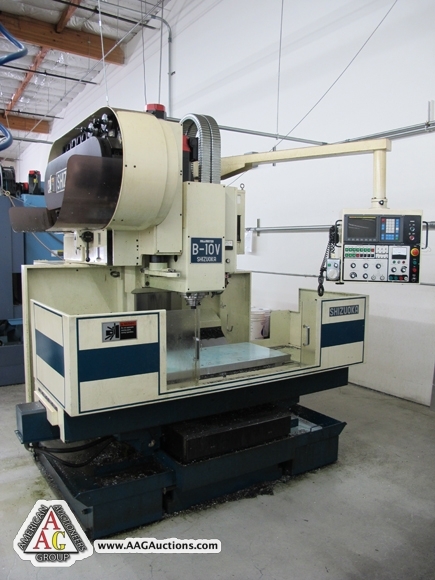 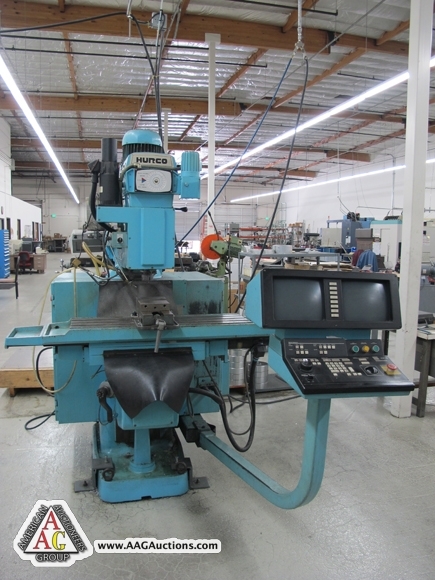 • 1994 SHIZOUKA MODEL B-10V CNC VMC, CT-50 TOOL, 24 ATC, FANUC 0M CONTROL, SIDE MOUNT TOOL CHANGER. 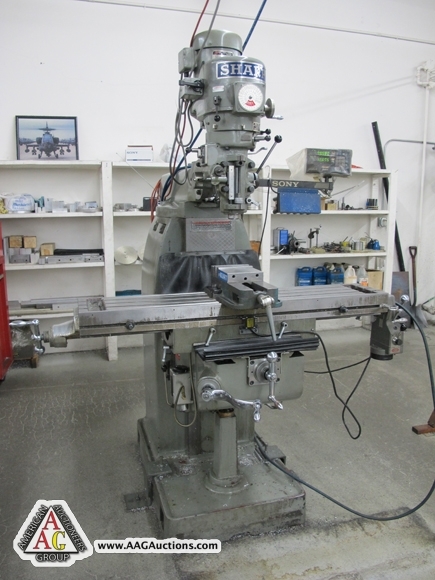 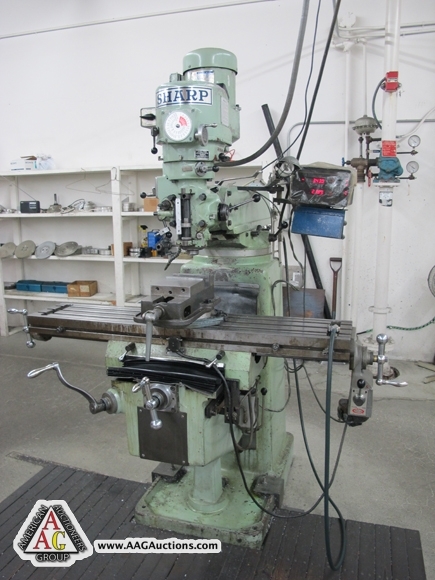 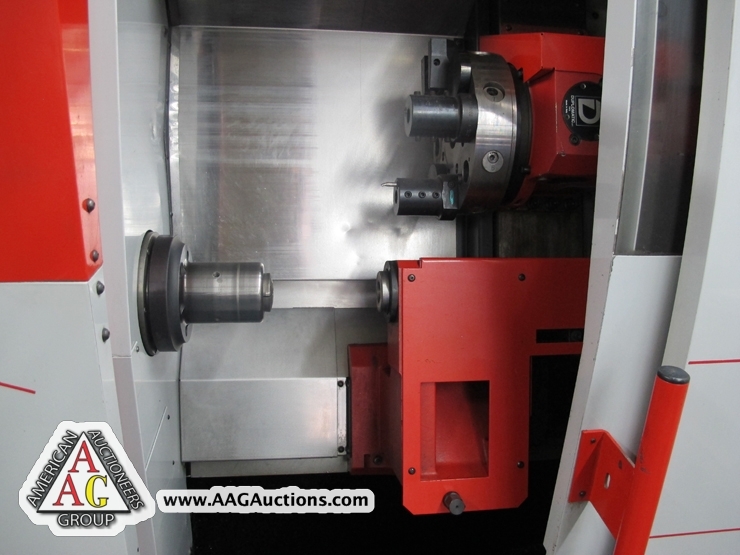 TAPPING AND DRILLING VERTICAL MACHINING CENTER, SIDE MOUNT TOOL CHANGER, S/N 111519. 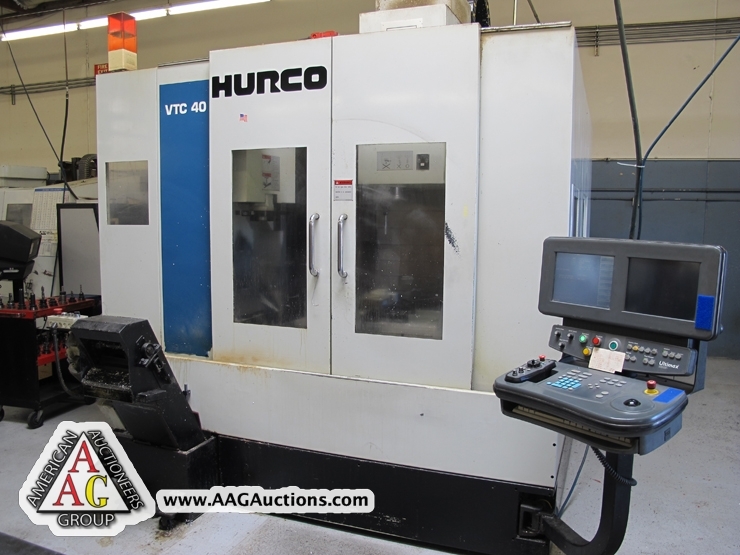 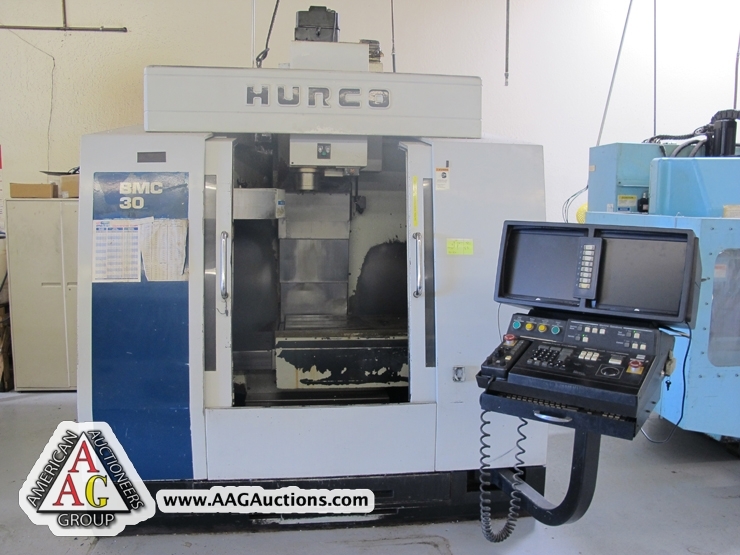 • HURCO MODEL KM3P CNC BED MILL WITH 2 SCREEN CNC CONTROL. 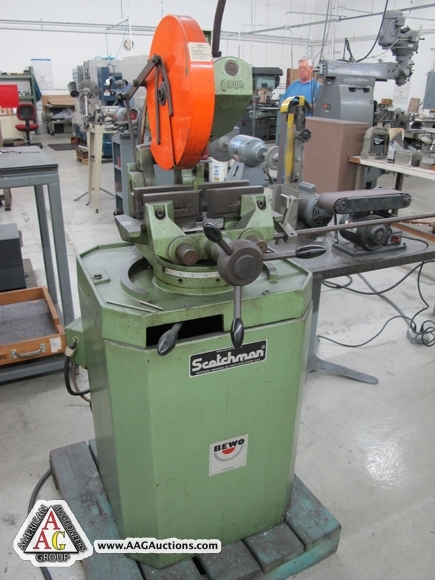 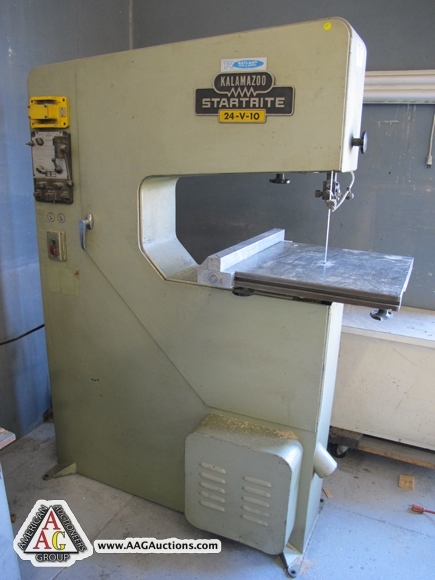 • SCOTCHMAN 12’’ COLD SAW. 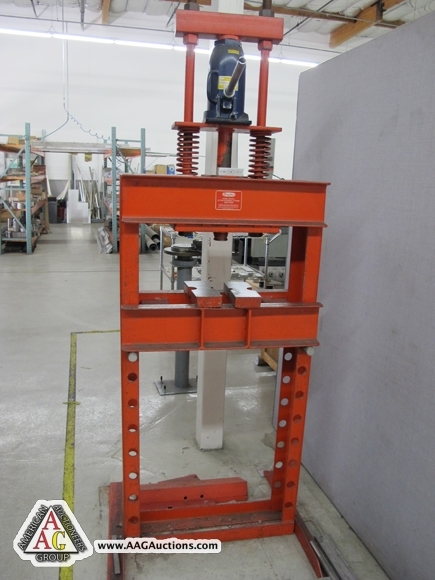 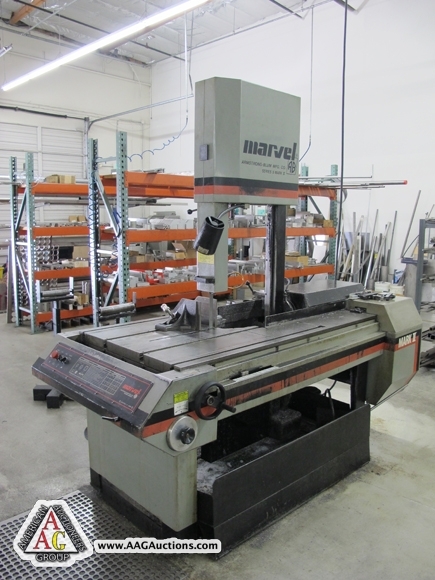 • MARVEL MARK II SERIES 8 TILTING VERTICAL BAND SAW, S/N 626755. 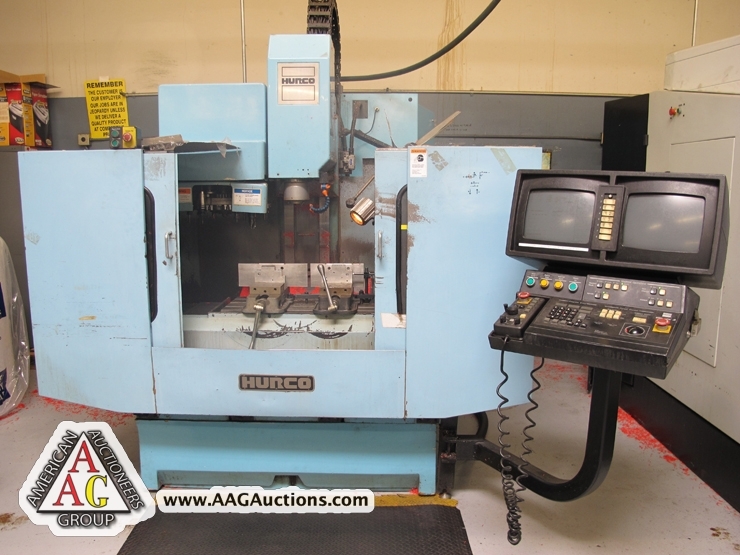 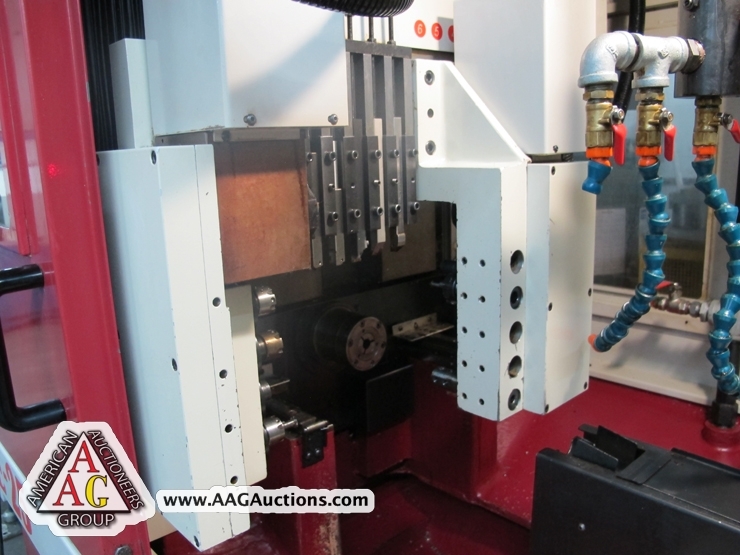 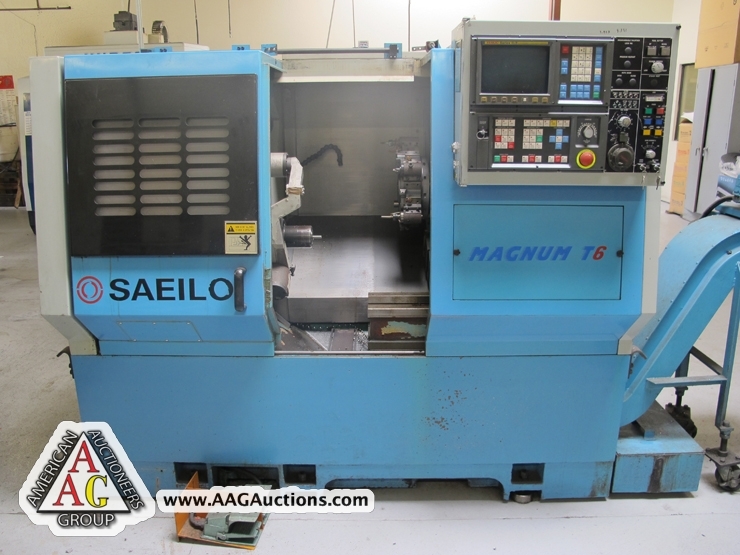 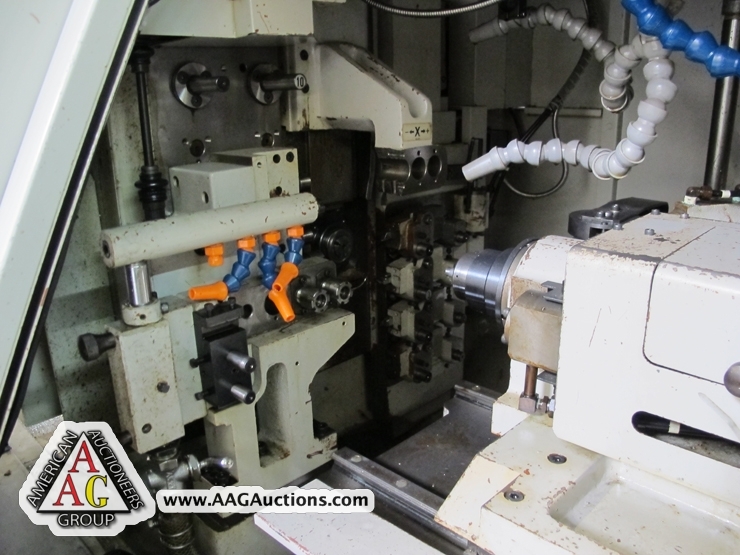 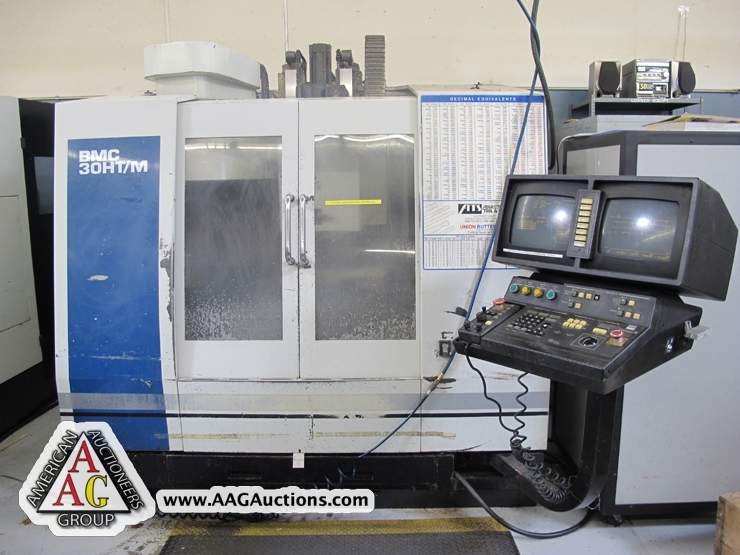 • 1998 HWACHEON MODEL ML-460, 18 X 59 ENGINE LATHE. 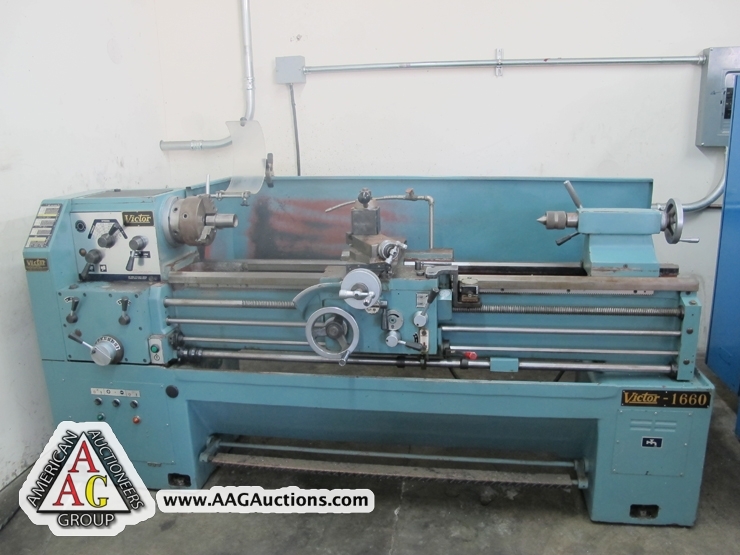 • VICTOR 20 X 80 GAP ENGINE LATHE. 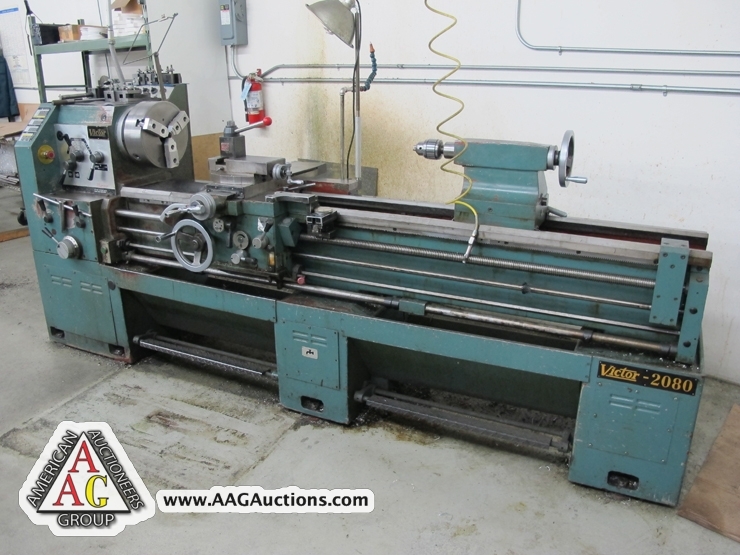 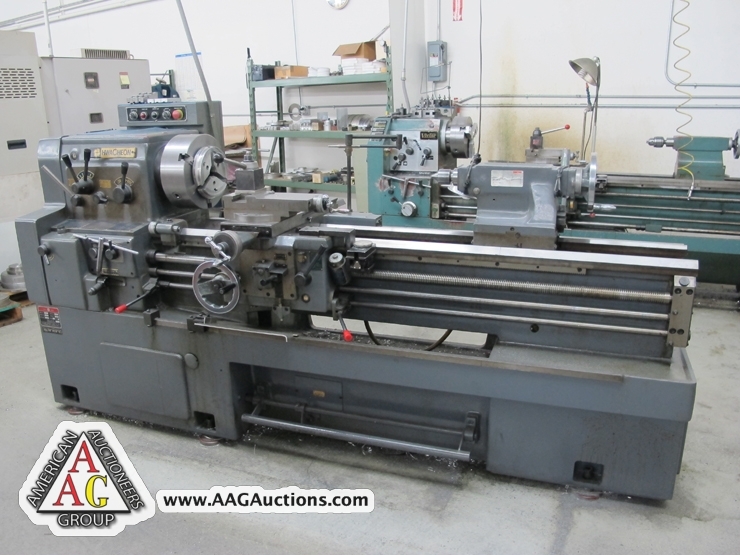 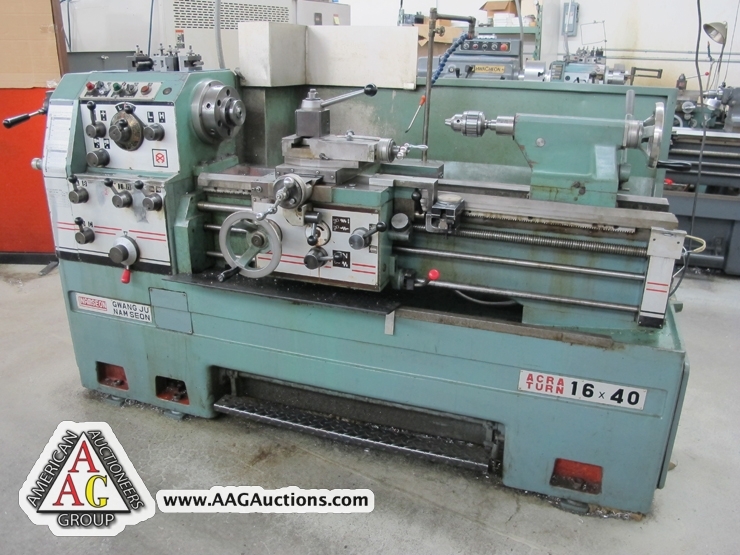 • ACRA MOEL 16 X 40 GAP ENGINE LATHE. 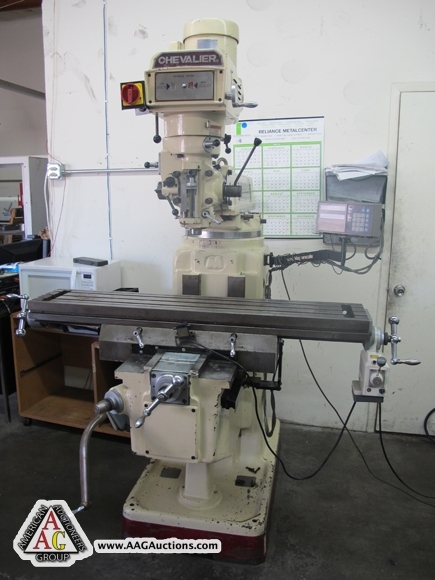 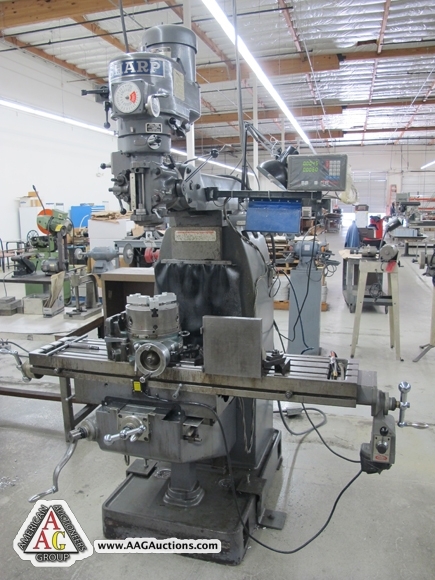 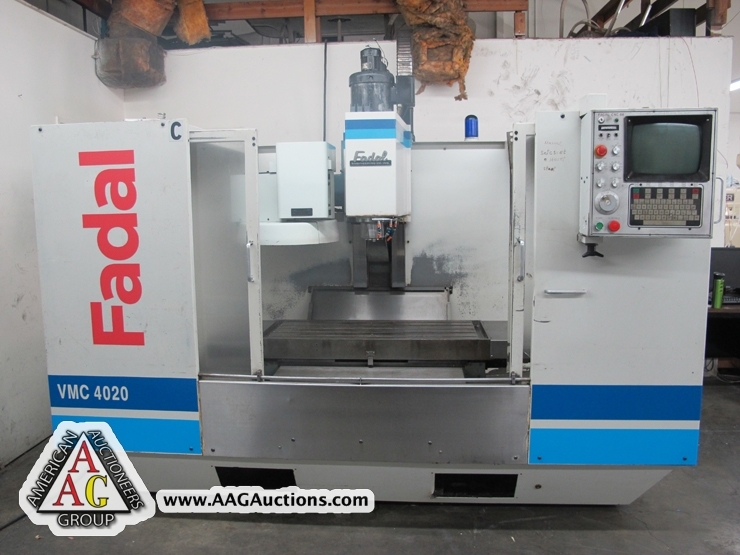 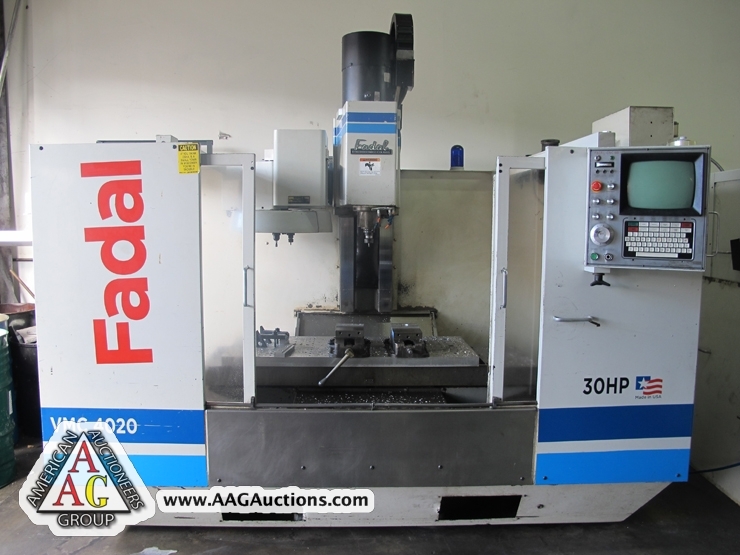 • 4) SHARP VERTICAL MILLING MACHINES WITH DRO AND P.F., CHROME WAYS. 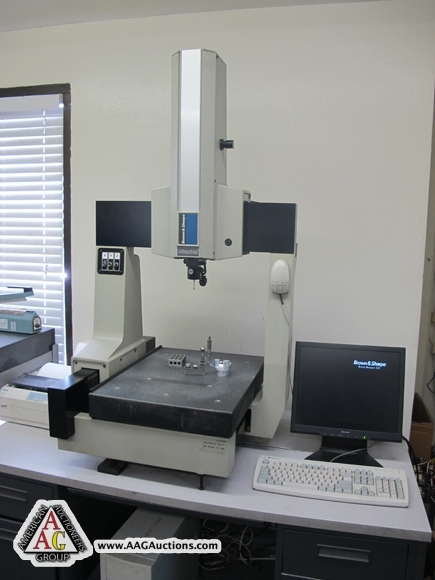 • MITUTOYO BRIGHT-M, BRTM710 CMM, WITH RENSHAW 922734 PROBE, GEO MEASURE 3000H, VI.33.3 SOFTWARE. 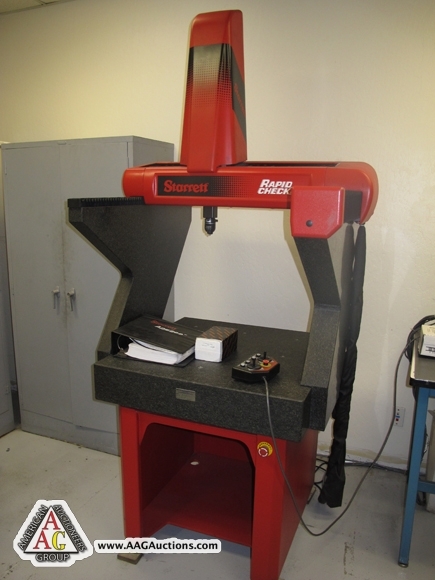 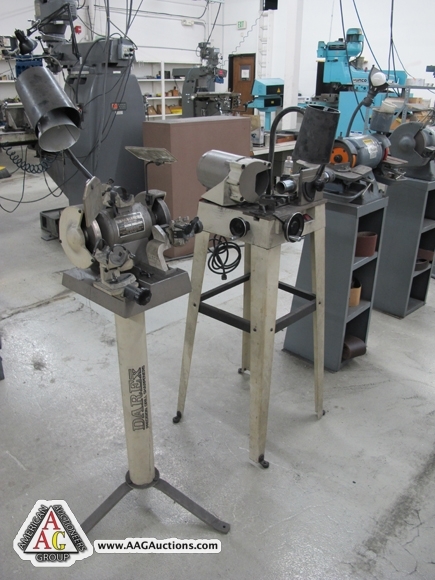 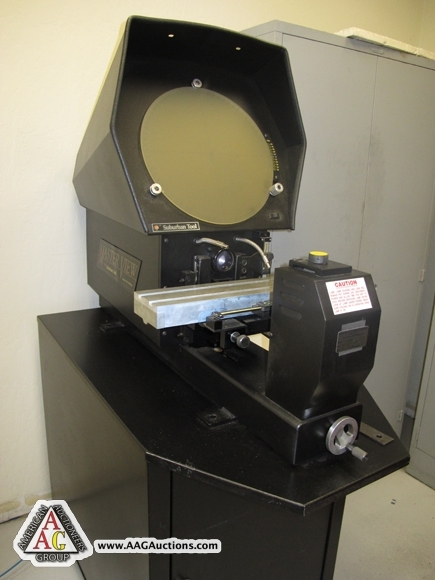 • STARRETT HB350, 14’’ OPTICAL COMPARATOR, WITH QUADRA CHECK 2000 CONTROL. 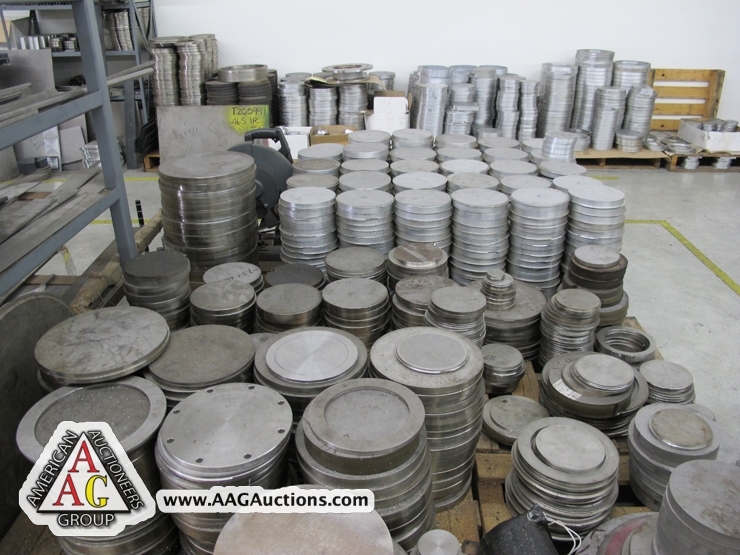 • INSPECTION TOOLS, GRANITE PLATES, GAGES, HEIGHT GAGES, MICS, CALIPERS, PIN GAGES, ETC. 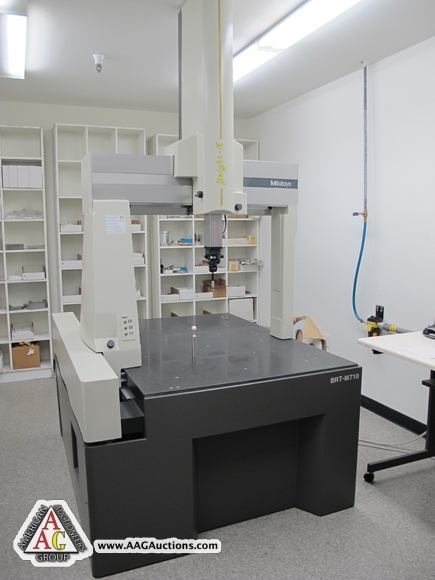 TELISIS TMP 3100 CNC METAL ENGRAVER. 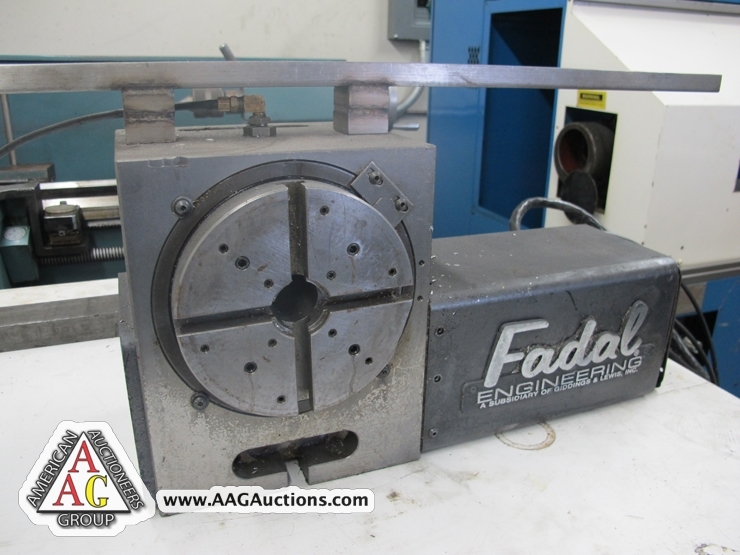 HYDRAULIC TUBE COUPLER, CUSTOM BUILD. 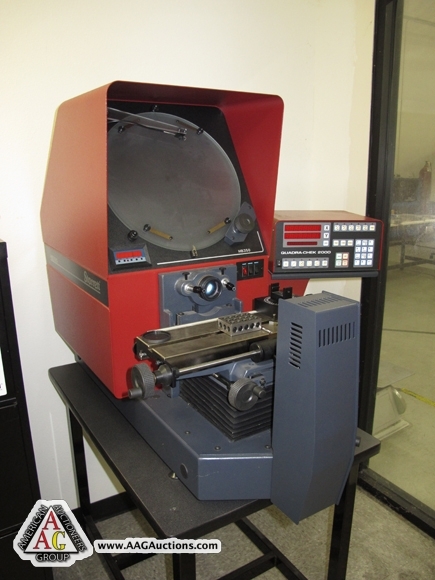 DAREX E-90 END MILL SHARPENER. 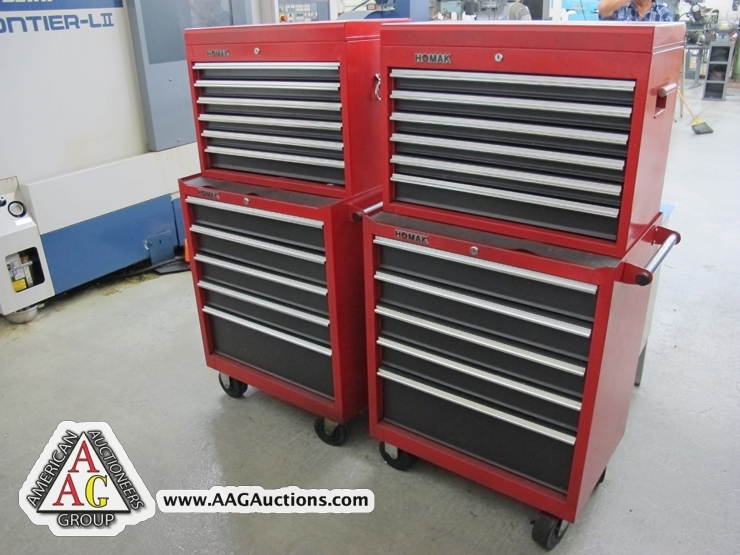 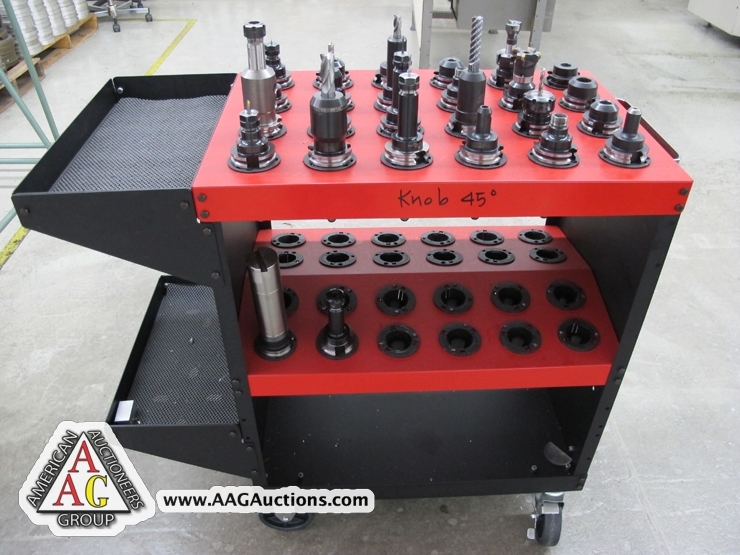 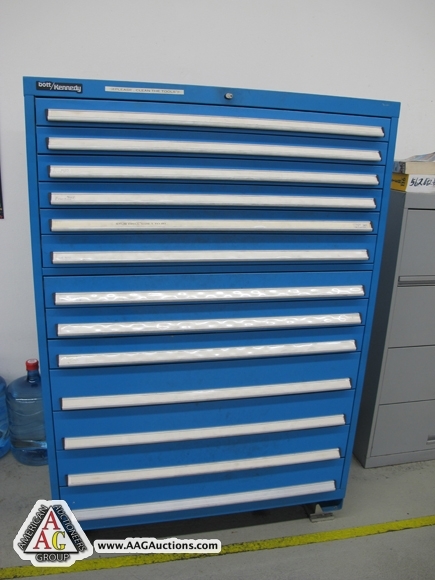 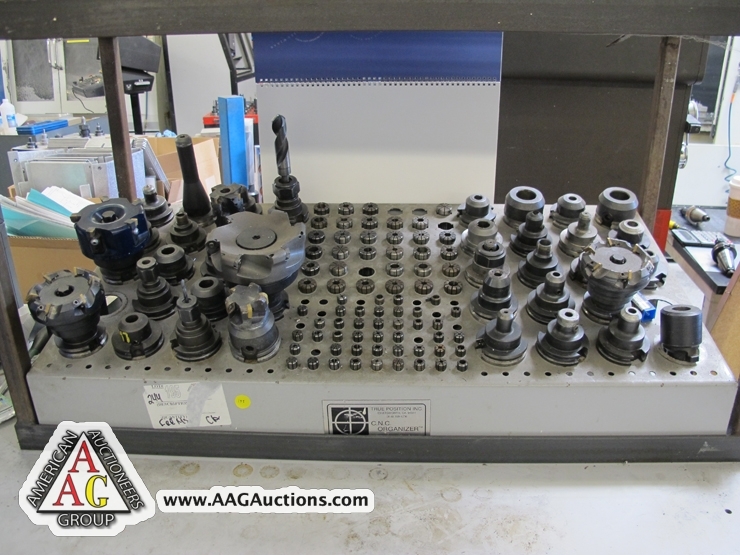 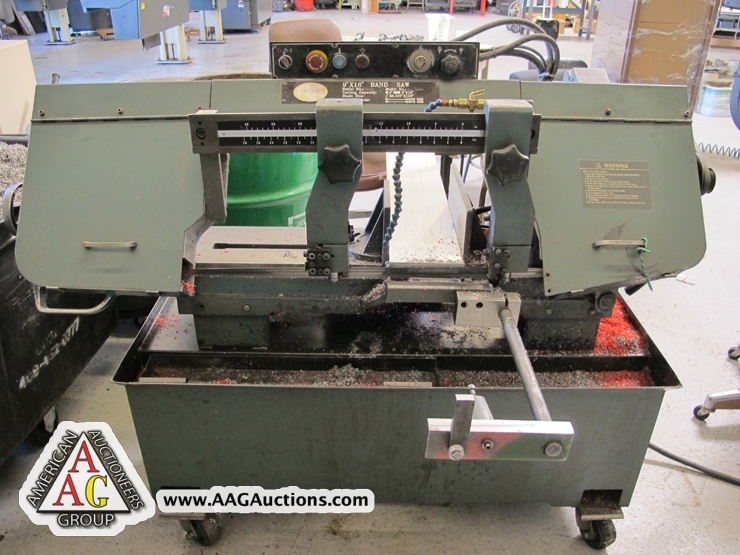 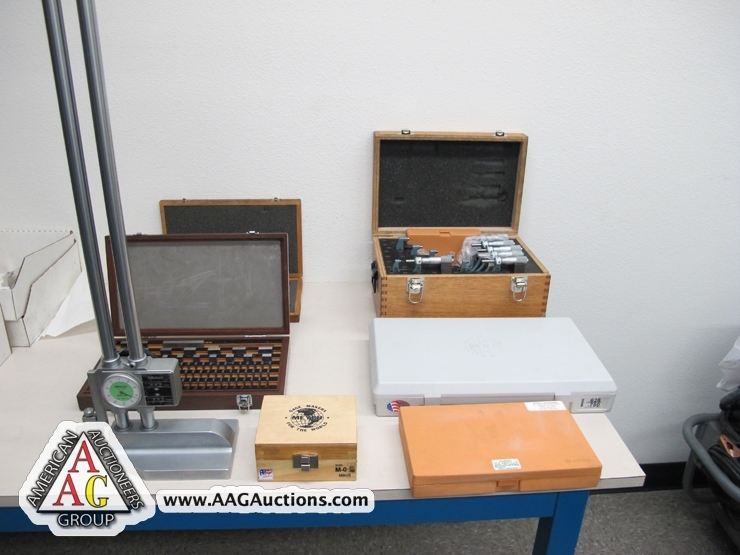 KENNEDY TOOL BOX, 13 DRAWERS, VARIOUS END MILLS, VISES, COLLETS, ROTARY TABLES, INDEX TABLES, TOOLING AND ETC. 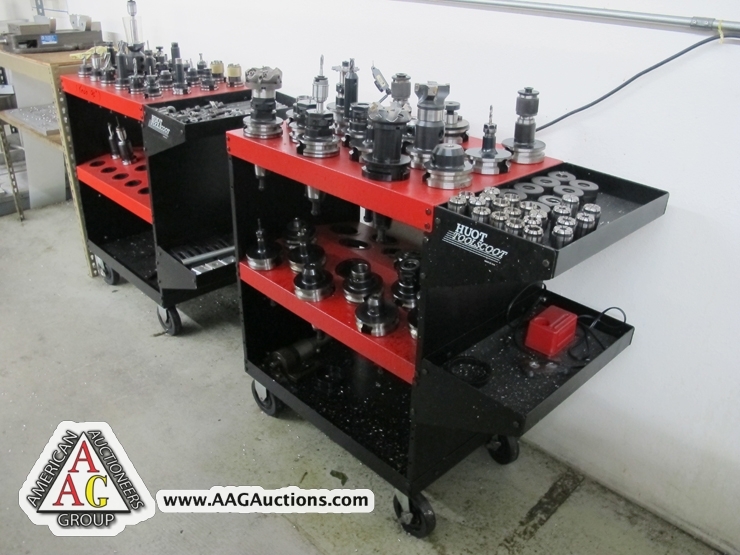 CT 40 ANC CT 50 TOOL HOLDERS AND CARTS. 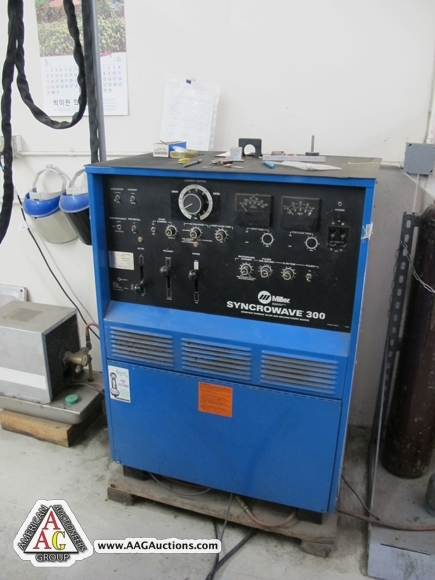 MILLER SYNCROWAVE 300 TIG WELDER, WELDING TABLES, AND ETC. 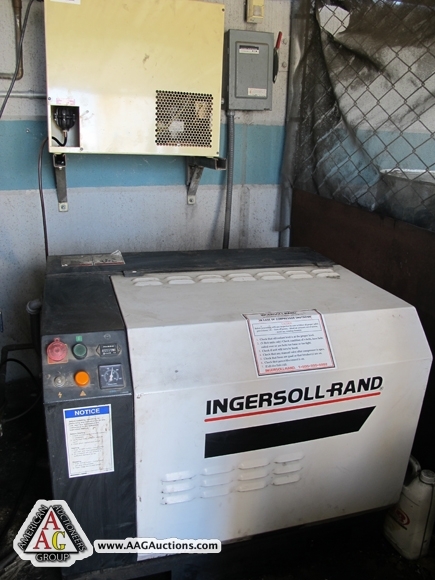 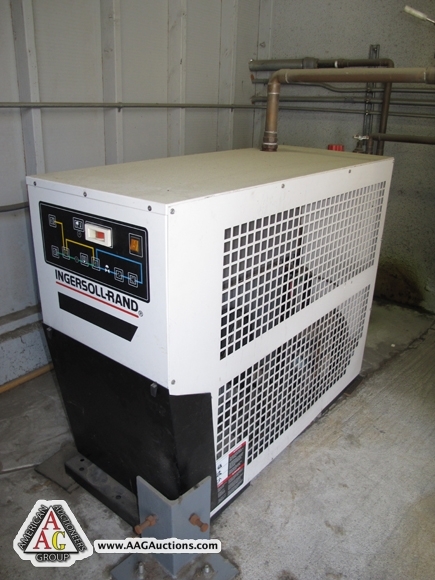 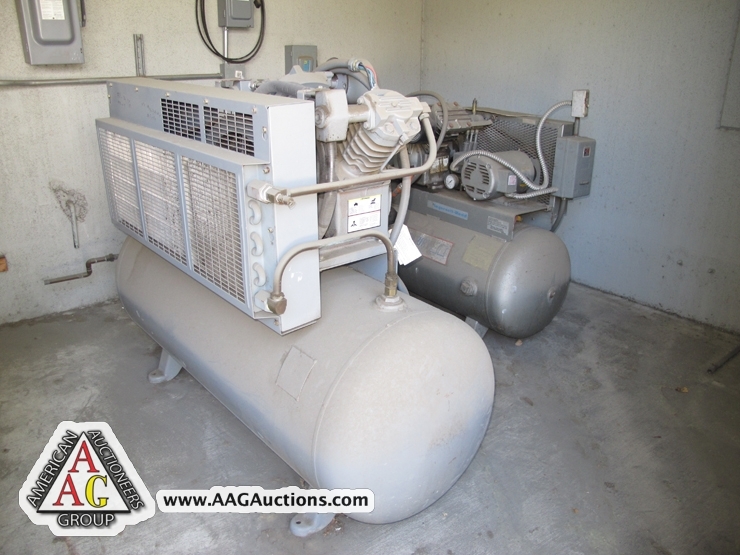 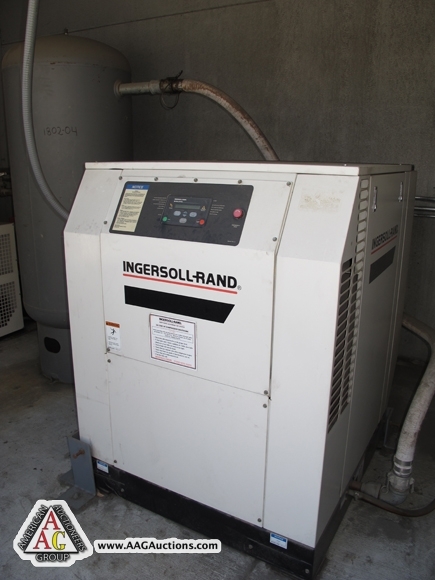 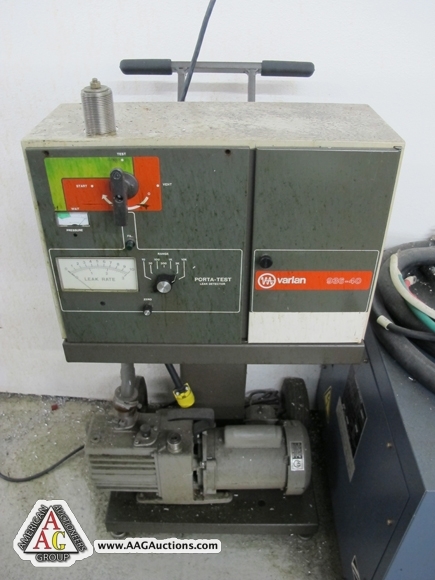 2000 IR MODEL SSR-EP30SE, 30 HP ROTARY AIR COMPRESSOR, 18,000 HOURS (APPROX). 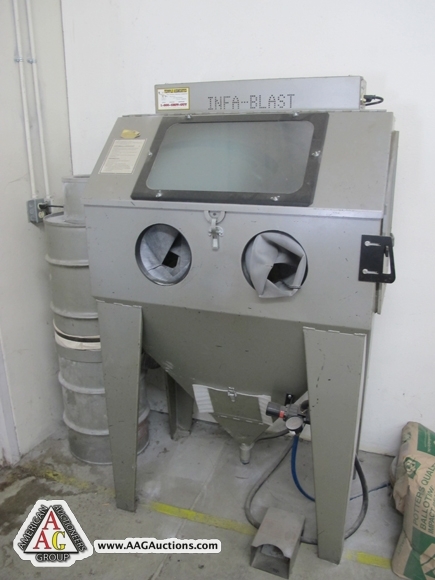 2000 IR MODEL DXR 150 AIR DRYER. 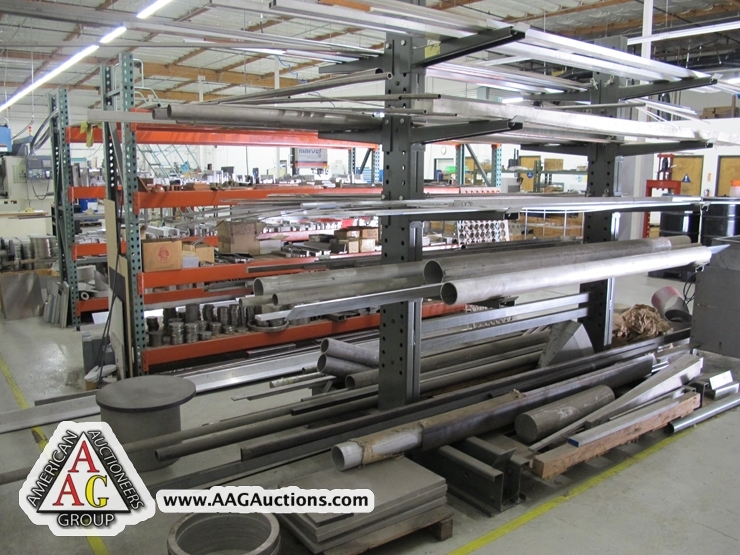 LARGE QUANTITY OF MATERIAL, ALUMINIUM, STAINLESS, STEEL & ETC.